I have a Hive external table created on a CSV file using the SerDe - 'org.apache.hadoop.hive.serde2.OpenCSVSerde'. The external table created OK and am able access from Hive. But when I try to access the same table from Impala, it starts throwing the error - "SerDe library 'org.apache.hadoop.hive.serde2.OpenCSVSerde' is not supported." Looks like Impala does not recognize the Hive's OpenCSVSerde. Hope if any one is facing the same issue will find this solution useful. "Ora-00942 Table or View Does not exist"
I am pretty sure that the table exist as the Sqoop Import has been tested using Generic JDBC Driver. In addition to the listed roles and privileges in the doc, it also requires "SELECT_CATALOG_ROLE" for the Sqoop Import to succeed using "--direct" option. After granting the role to the user using which the import is being performed, the Sqoop Import process succeeded. If you are installing Python3. * on top of existing Python2* then, it is better to keep the installations separate. Create a directory under $HOME to host Python3*. In my case I created - /usr/local under $HOME. Now add this path to your $PATH environment variable. Notice that we add the new path before existing $PATH. This is so that our local Python is always used before any other. pip is configured with locations that require tls/ssl centos"
To resolve this error, the below openSSL config is required. Initially after installing Jupyter, when attempted to access I got errors stating "SQLite3" was not available. 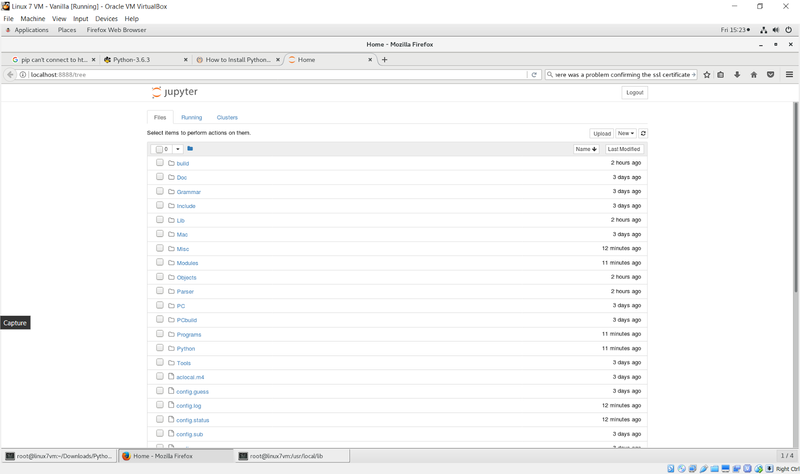 So I had to trash everything - Python3.6, iPython and Jupyter - and follow the steps starting from "Pre-install requiresites" of this document and re-install Python3.6, iPython and Jupyter. I have set up AWS EC2 instance through AWS Management Console and able to launch it. While using AWS CLI to connect to instances I encountered the error "AWS was not able to validate credentials" error. After all these steps, when I run the command - aws ec2 describe-instances, I was encountering the error "AWS was unable to validate credentials". I verified the AWS credentials file, all the details like AWS Access ID and AWS Secret Key are all present. To resolve this error, I had to explicitly export the variables AWS_ACCESS_KEY and AWS_SECRET_KEY. After this I am able to connect to the running instances from AWS CLI. 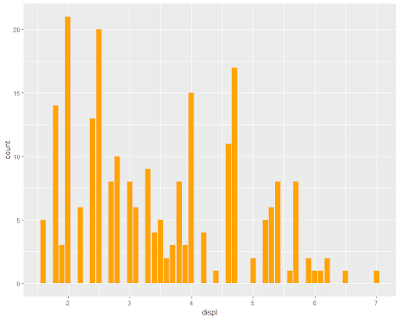 In my previous post Data Visualization with R ggpplot2 - Part 1, I detailed the pre-requisites for getting started with using ggplot2 with R.
In this post, I will focus more on the usage of R package - ggplot2 and various visualizations that can be generated using this package. 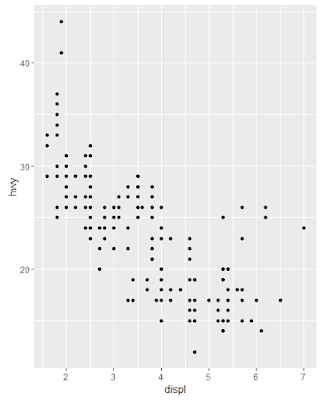 And specify how your graph should look like through combination of "mapping" and "aes (short for aesthetics)"
If you omit geom_function in the call to "ggplot" R will produce a blank graph with no plotting of variables. 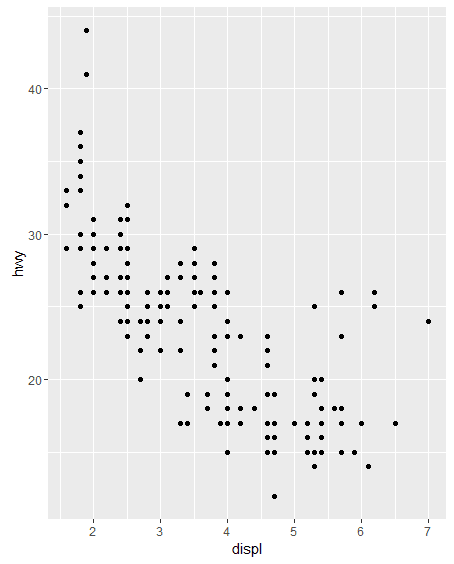 As you can see here, R produced a graph with "displ" along X-axis and "hwy" along Y-axis. 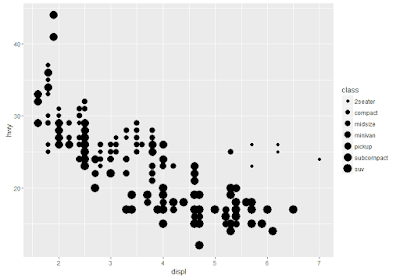 But there are no plotting of variables as we have not specified what type of graph we need. 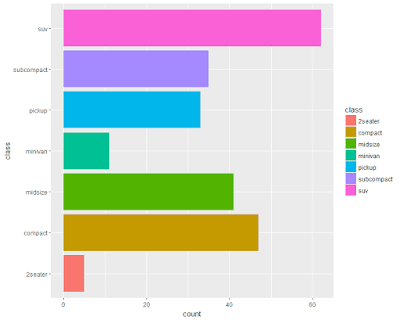 To produce Bar Charts use "geom_bar" function. 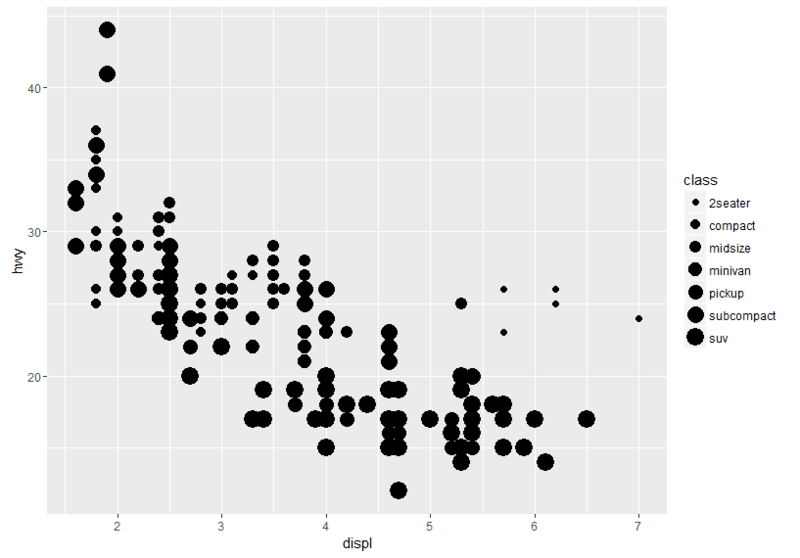 This function by default accepts one variable for x position and produces count of observations for the x position. 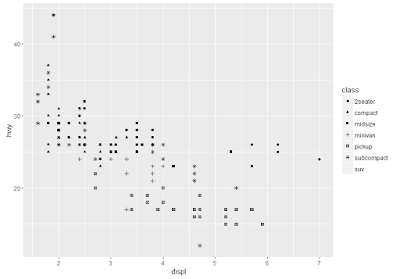 To generate Scatter Charts use "geom_point" function. 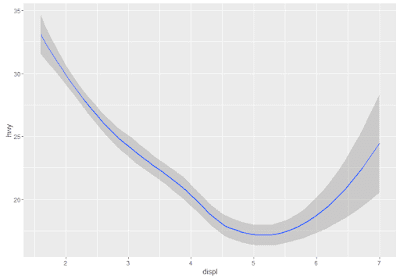 This function by default accepts one variable for x position and produces count of observations for the x position. In this chart each vehicle class is color coded. 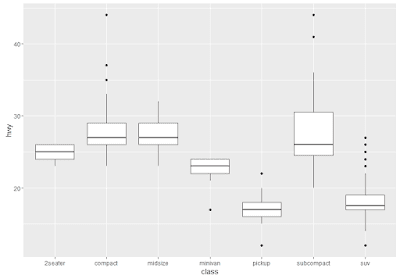 In this chart each vehicle class is given a different shape. 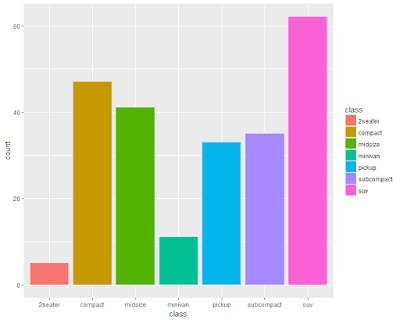 In this chart each vehicle class has different size based on the mileage. 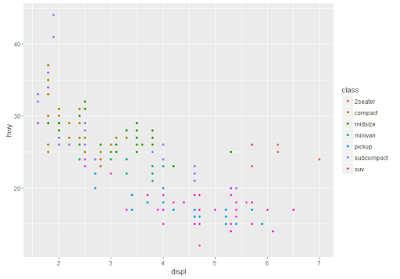 If you notice, in the above scatter charts we have displayed all "vehicle classes" in a single chart but distinguished each by a shape or size or color. What if, we want to produce one chart for each vehicle class but still want to display them together? R has an option for this. 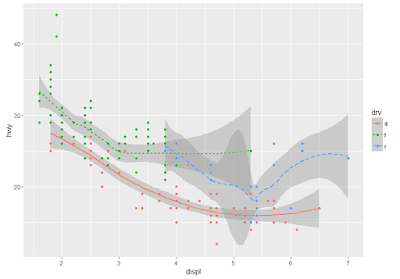 Using R's Facets/Subplots we can achieve this. This is equivalent to "trellis" views. We will reproduce the Scatter chart, but will split by vehicle class one for each class. 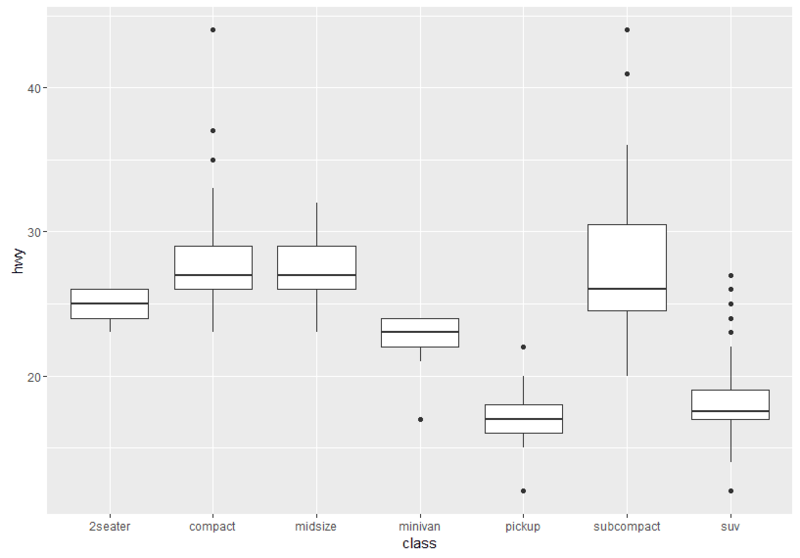 We will use "facet_wrap" if the plot is split on one variable, in this case by "class". You can control how many rows in the sub plot by "nrow". 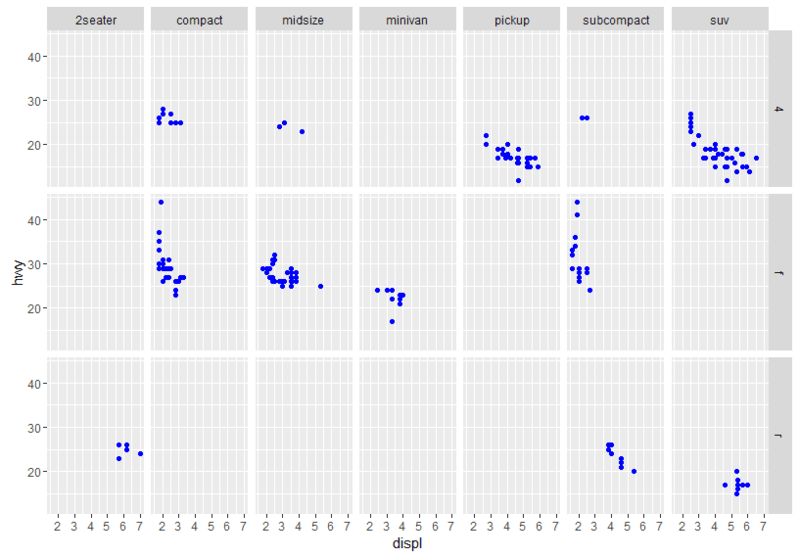 As you can see, the scatter plot is split by "Vehicle Class" one for each class. 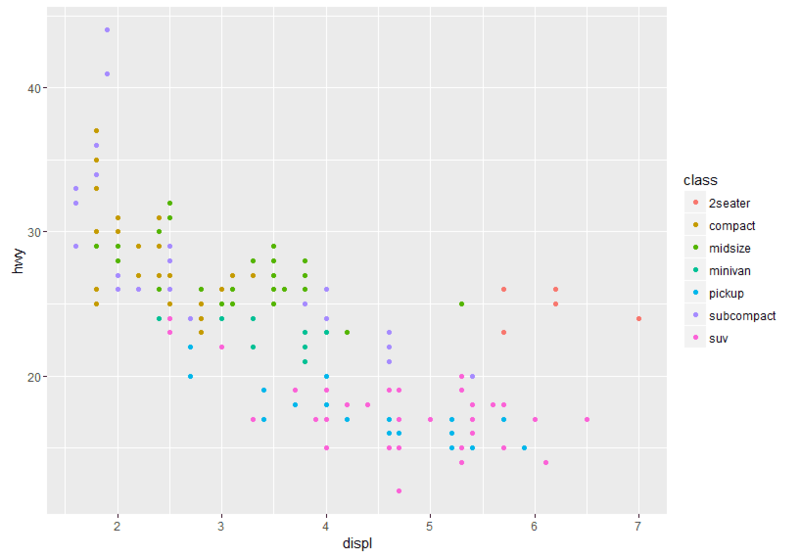 We can change the color of the chart by mapping a required to color to "color" attribute. 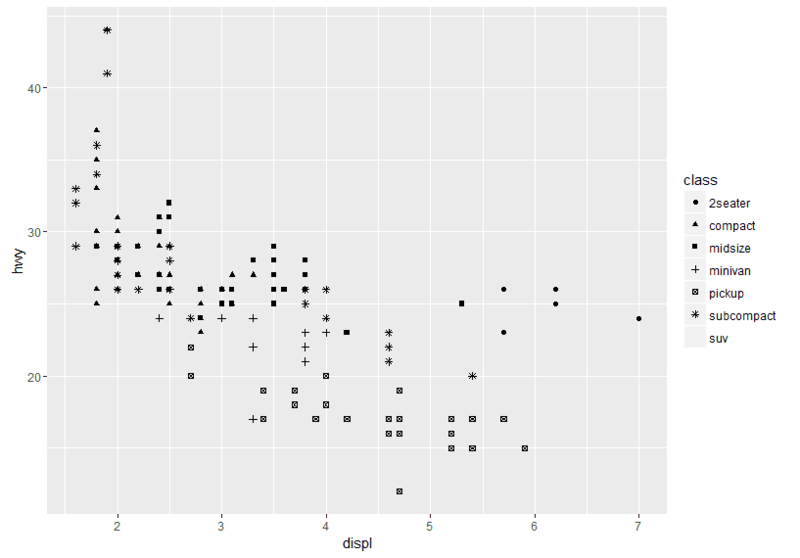 We are asking to produce a Scatter plot but produce one sub plot for each combination of "drv" and "class" variables. 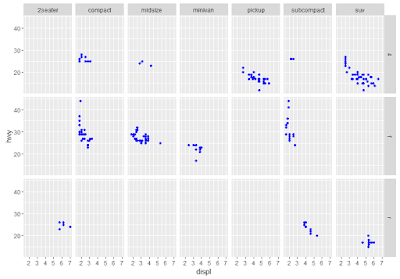 As you can notice, each subplot has 2 variables. The above line chart, basically shows the relationship between the fuel efficiency on highways against engine size in litres. 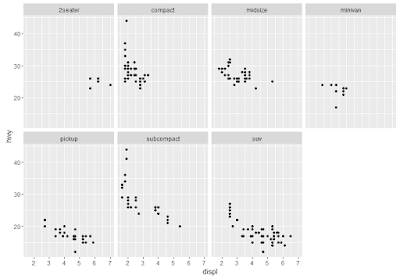 R has several systems for visualizing data, ggplot2 is one of them. 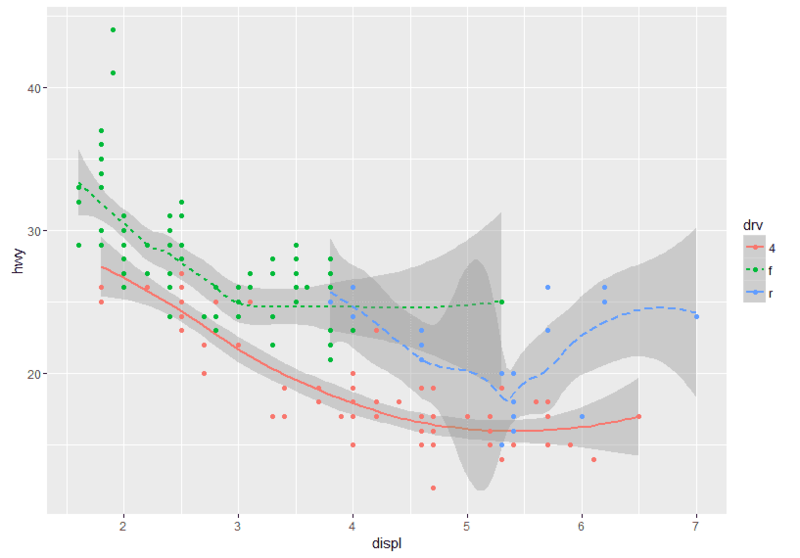 ggplot2 is pretty easy to use and offers various options to generate impressive graphs to wow your users. 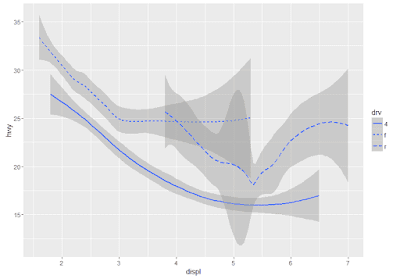 This post is to showcase usage of ggplot and its impressive features. R System installed on your PC. The "ggplot2" package has several data sets which we can use for plotting graphs. To view details about the data sets ( obeservations => rows, variables => columns) , type the data set name at command prompt , as below. This will lists a sample data and the variable names. The help function can be used with any of the R commands / packages to know more details about them. How to use "ggplot2" in next part... soon. Apache Sqoop is used to import data from Relational Databases ( MySql, Oracle, SQL Server etc., ) into Hadoop ecosystem. This post details different variants of using the Sqoop tool for importing data. The above command will import entire contents of "categories" table into HDFS as a CSV delimited file. --target-dir - allows to specify the final directory where the data will be imported into. With this variation, the categories folder will be created under /user/root/output and data will be imported. The parameter --target-dir need to modified everytime a new table need to be imported. With this variation a parent directory is specified under HDFS. Sqoop import when executed, rather than writing the contents into the parent directory will create a new folder matching the name of the table and imports data in there. In both instances, sqoop will reject data if the output directory already exists. 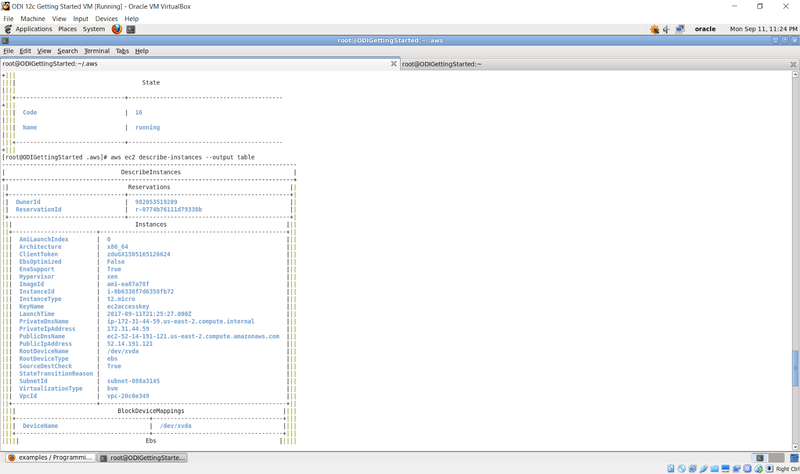 Sqoop allows to import only a portion of the table contents into HDFS with a where clause. The above command will only import the product names starting with "Sn" from "Products" table into HDFS and stores under the specified directory. 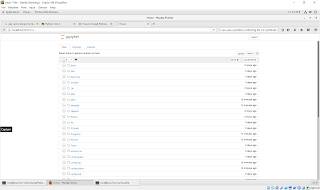 Sqoop supports importing all tables in a database, rather than importing tables one by one. To import all tables use the tool - import-all-tables.